Fountain Square Music Festival — Absorb. ABSORB. was thrilled to develop, build, and present the Fountain Square Music Festival in Indianapolis in 2017. 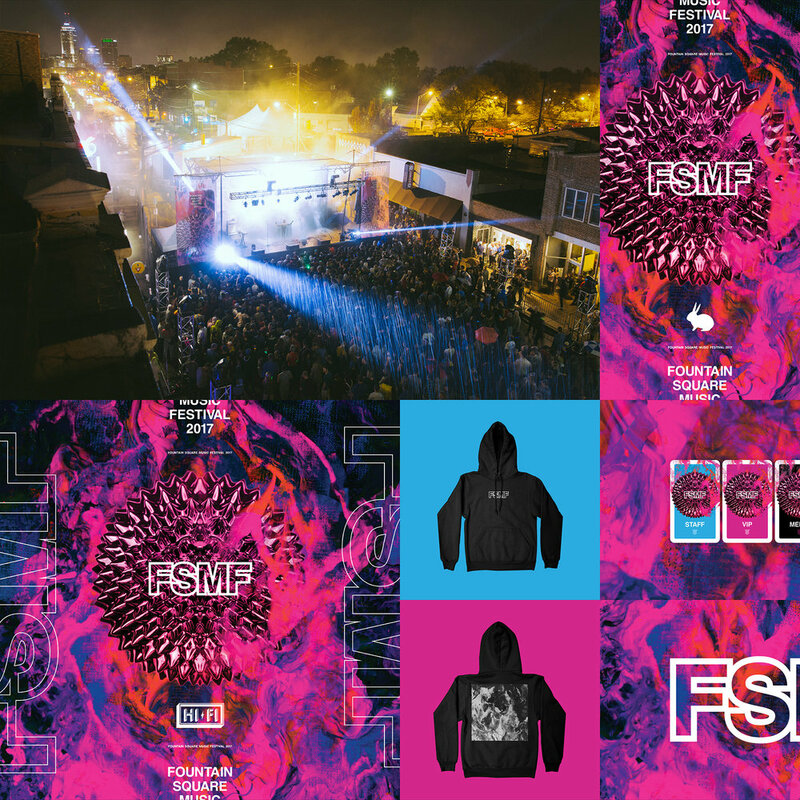 This was a pivotal and ambitious growth year for FSMF, and we're thrilled with the results from the event, which occurred on October 6 & 7, 2017. 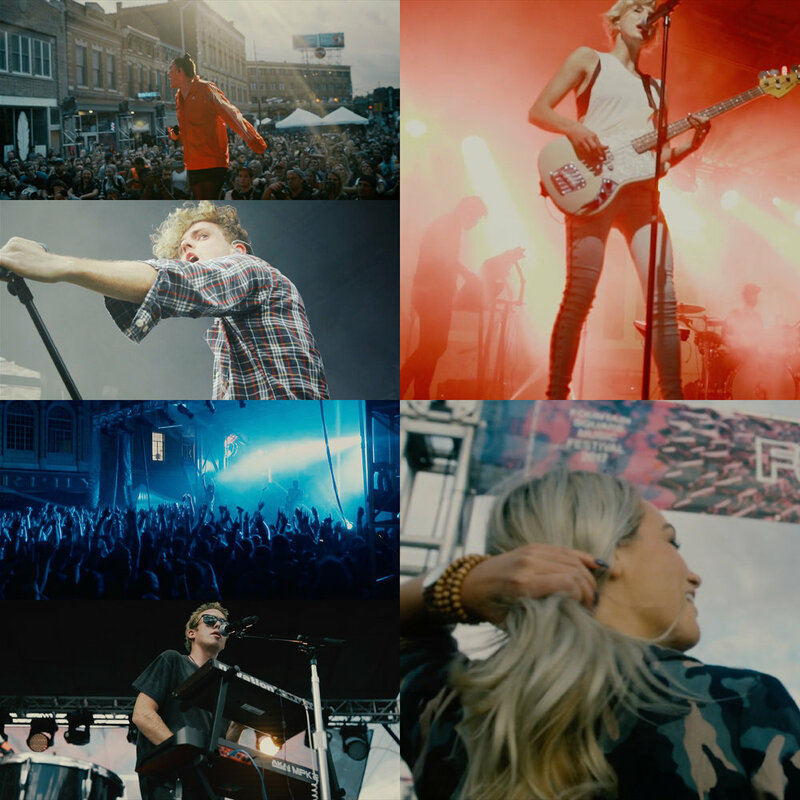 Both fans and press responded to the event with glowing reviews, and FSMF was voted BEST MUSIC FESTIVAL by readers of Indianapolis' premiere entertainment magazine, NUVO. FSMF created a unique, intimate music and experience event by utilizing Fountain Square's infastructure incredible music venues to house stellar performances from groundbreaking musical and visual artists. Thousands of fans attended the festival, and were treated to ultra-convenient and premium-service art, gaming, cuisine, and retail experiences in addition to musical performances on five stages. 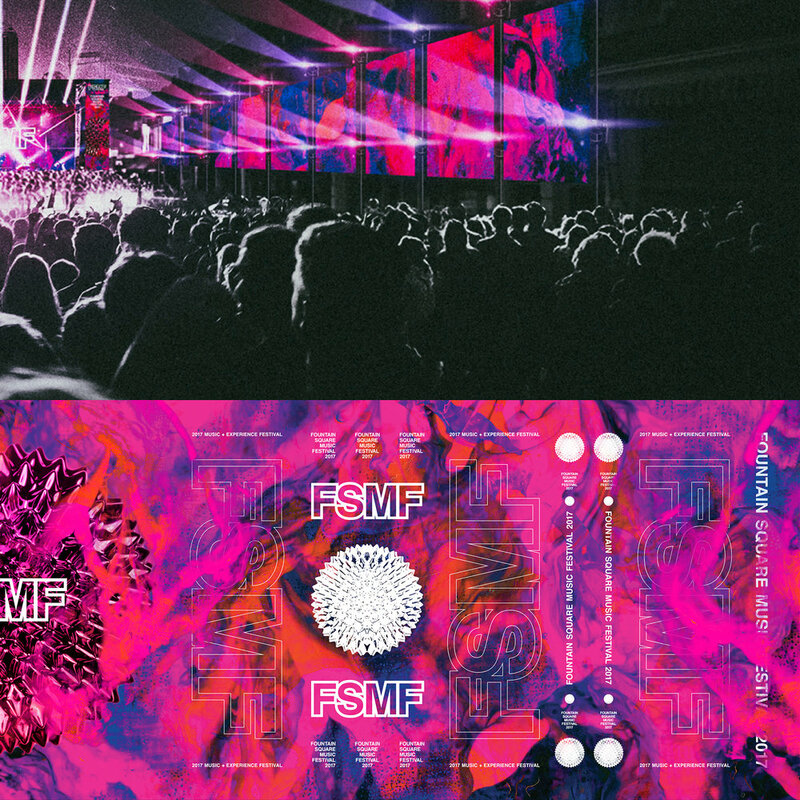 FSMF 2017 saw the premiere of THE NUCLEUS stage, the festival's first-ever immersive outdoor stage featuring nearly 100 LED lighting fixtures that surrounded audiences all the way down Virginia Avenue into the heart of historic Fountain Square. The audiences were indeed INSIDE THE SHOW! 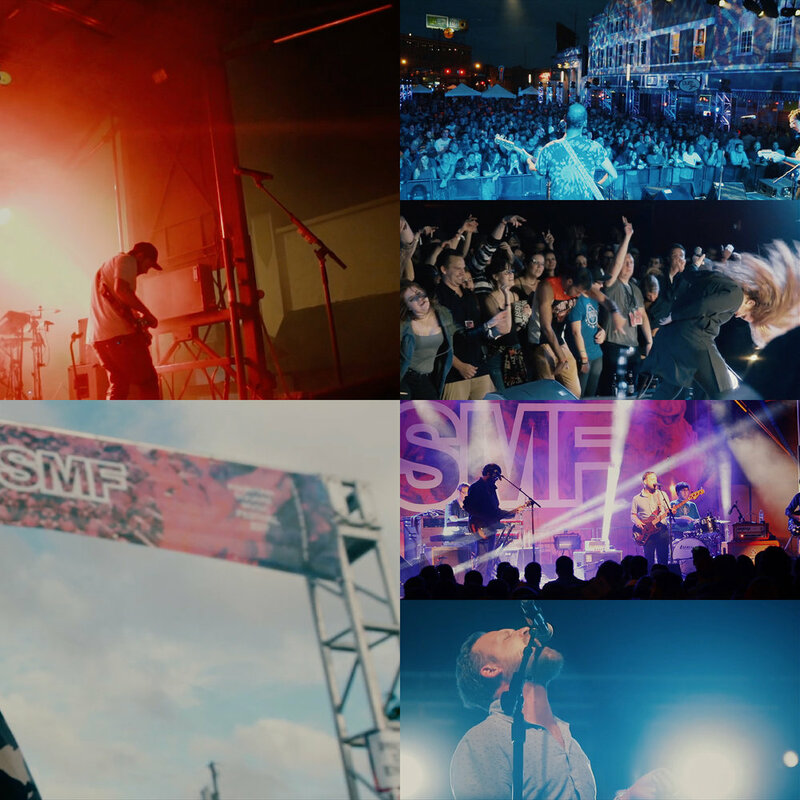 Over 60 artists were featured at FSMF 2017, including Phantogram, Dr. Dog, Bishop Briggs, Real Estate, COIN, The Cool Kids, Bryce Vine, and others. The festival's identity was again meticulously curated by Absorb. to reflect the character and eclecticism of both the event and it's host city. Thus, we designed branding elements revolving around a vibrant, colorful namesake structure called THE NUCLEUS, representing the festival's continuing importance as a hub of creativity and musical diversity. 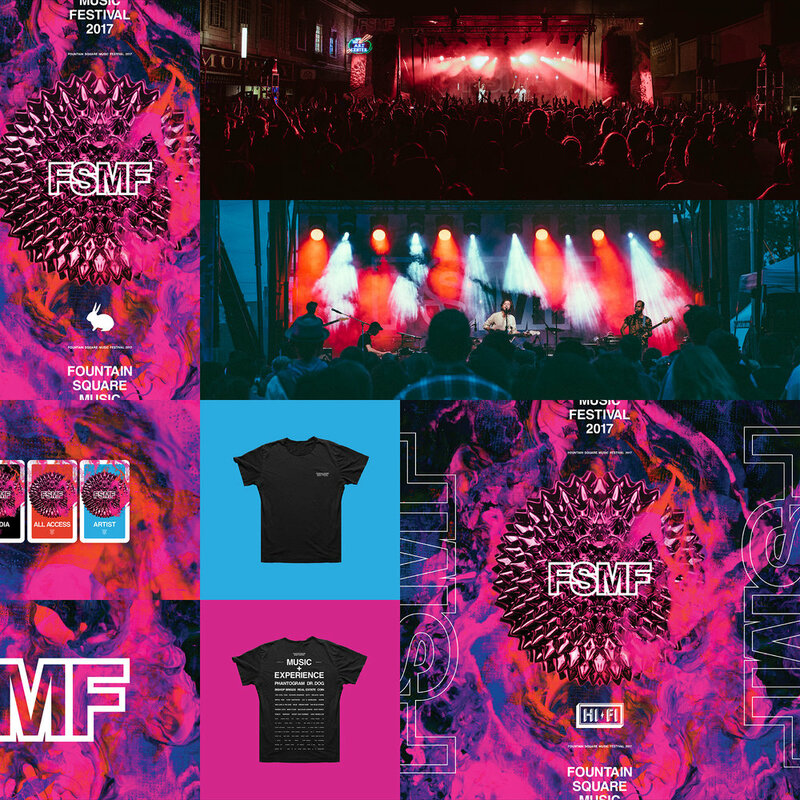 We incorporated our THE NUCLEUS design components into all facets of FSMF branding for ultra-consistency, and the photo-meets-digital design disciplines expound on our unique methods of bringing organically photographed textures into a digital design world. We created THE NUCLEUS logo and visuals by shooting photos of a perfect ferrofluid (magnetized liquid) orb, then colored and texturized using an additional series of custom textural photographs. FSMF CREATIVE DIRECTOR / CONCEPT OWEN THOMAS. FSMF EXECUTIVE DIRECTOR / PRODUCER JARED SPARKMAN. FSMF AGENCY / EVENT PRODUCTION JOSH BAKER / TAD DURHAM & SPENCER HOOKS / MOKB PRESENTS. MACRO PHOTOGRAPHY SAM KAUFMAN & OWEN THOMAS. FERROFLUID MANIPULATION OWEN THOMAS & JARED SPARKMAN. FILM DP'S MIKE YONTS, PALMER DURR, JOE CHUNG, LEVI TURNER, MELISSA NEEL.. PHOTOGRAPHY EDRECE STANSBERRY, LINDSAY DAVIS, KRISTIN DEITRICH, CAMERON DAWSON, NIKHITA SAMALA.